It's just like me to be embark on another lists challenge. 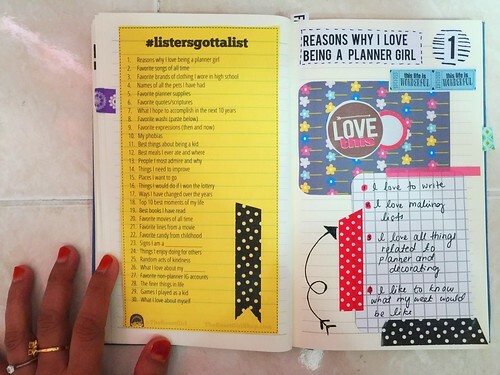 I just finished making my March 30 days of lists Journal for 2015, I already jump into #listersgottalist challenge host by The Reset Girl. I just love her style and probably will be inspired by her through out this month challenge. If you have not heard of the challenge, it is still not too late to join in the fun. It's not something to be stress about but something to enjoy and create daily. 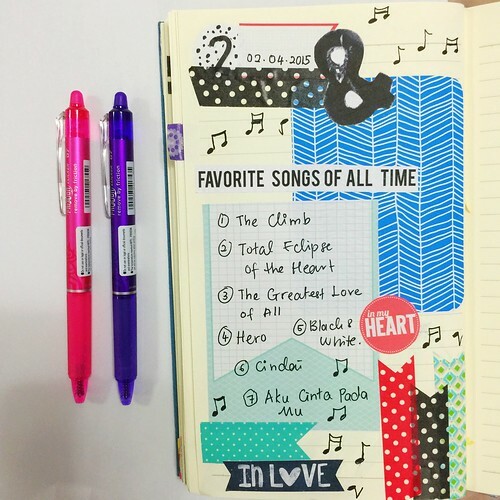 I find that by making this lists and decorating the page gave me a sense of satisfaction and can be relaxing. It's a way for me to make a mark in this world, to tell my story, to have a voice and to say that I matter, I exist. 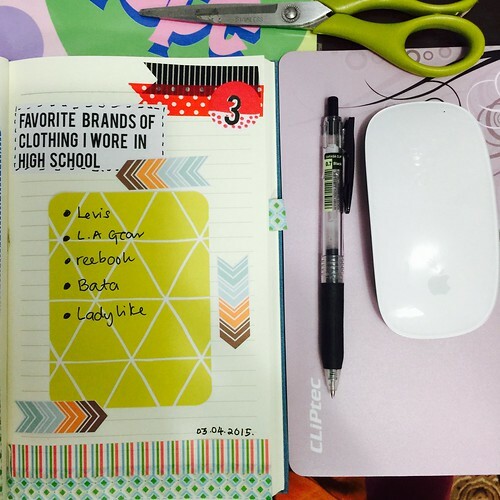 I was in high school about two decades ago and I am not sure if some of these brands are still around. I've always conscious about brand and I've love Levis since as far as I can remember. And I still do love to wear jeans until now, I just hope Levis will make one which is woman friendly without being too skinny on the legs and tummy. I am still learning to use clear stamps. This is a new area for me. I love digital stamping but real stamping seems a lot harder.